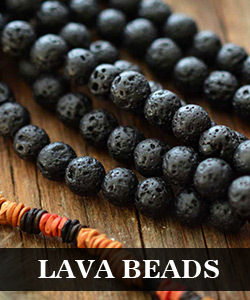 Summary: Wanna make wide beaded bracelets? 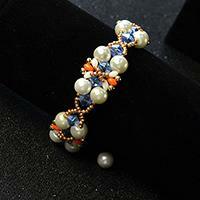 Here I will show you a seed bead bracelet pattern to you, and you can follow here to make one yourself later. 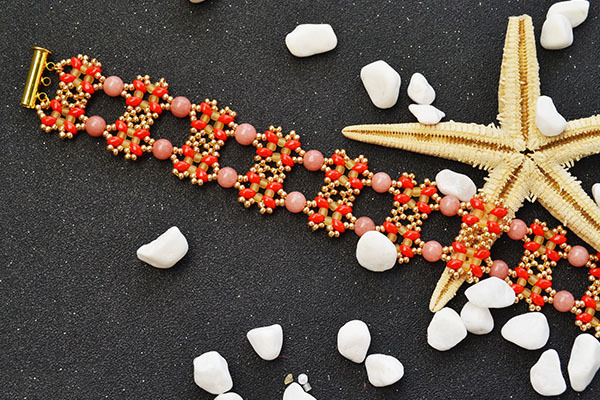 This seed bead bracelet pattern is made with beads in different sizes, types and colors, and all the colorful beads are mixed very well. See the picture above I show to you, do you like it? 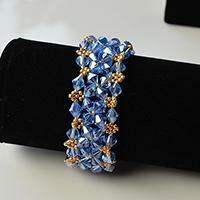 Just follow me to see the details in making seed bead bracelet! 2nd, slide 5 golden seed beads, a red seed bead and 5 golden seed beads to one end of thread in sequence, then cross it back through the fourth golden seed bead. 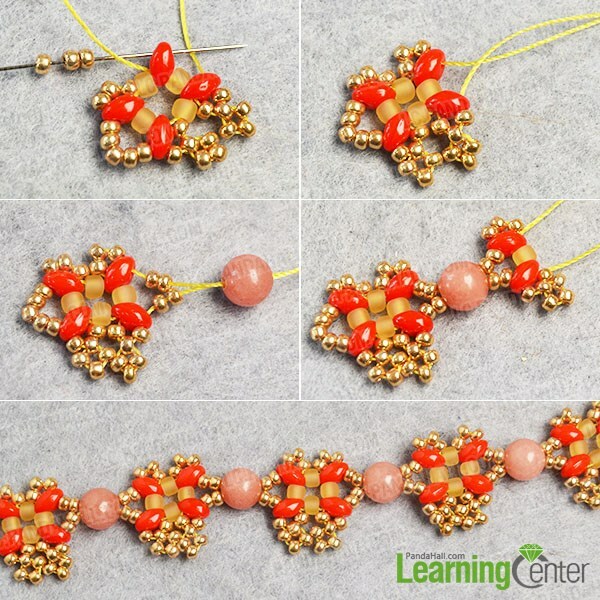 3rd, slide a frosted seed bead to both thread, then cross them through a red seed bead, a frosted seed bead and a red seed bead as pictured. 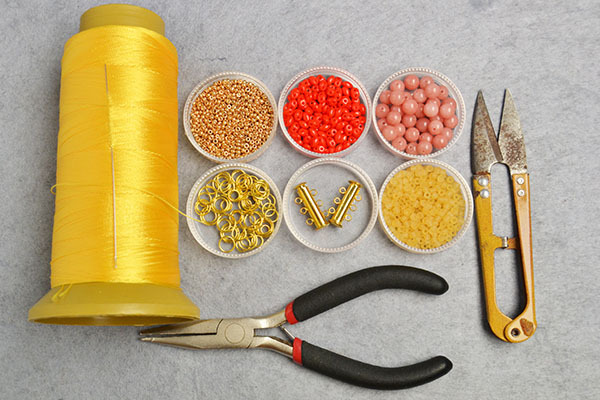 2nd, slide a golden seed bead to the thread and cross it through the upper hole of the red seed bead. 3rd, repeat above steps to make other more such bead patterns till the length of the wide beaded bracelet is fit to you. 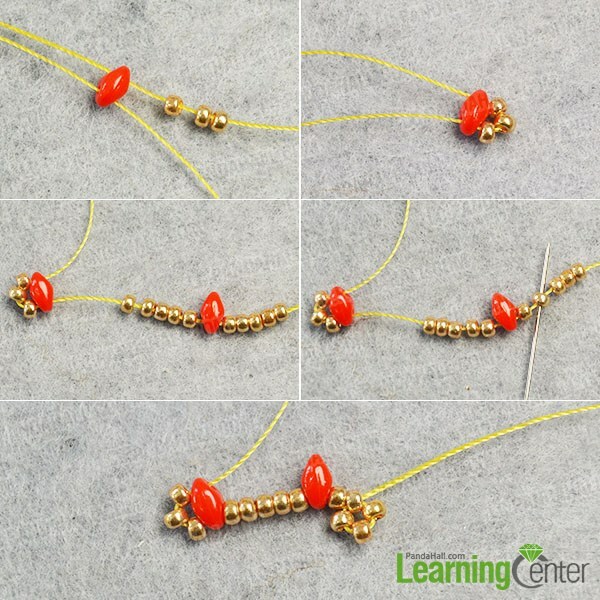 2nd, cross the thread through the ready golden seed bead, then slide a golden seed bead to it and cross it through the upper hole of another red seed bead. 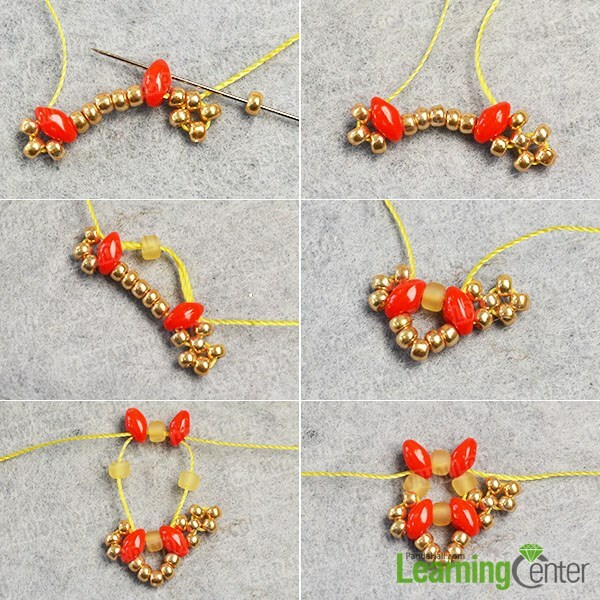 2nd, while finish the bead patterns, make a knot with the threads and cut of the excess threads, then add a slide clasp to both ends of the bracelet with golden jump rings. 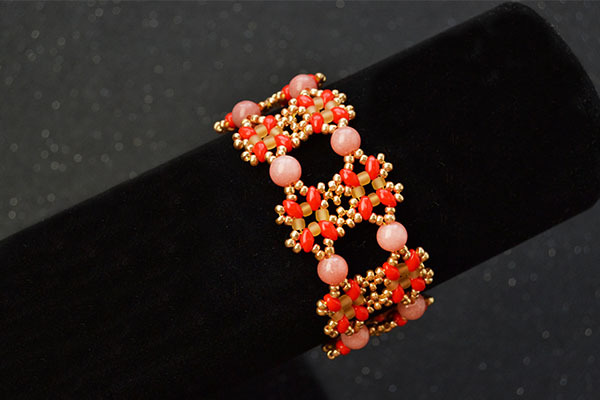 Here is the final look of the seed bead bracelet pattern. 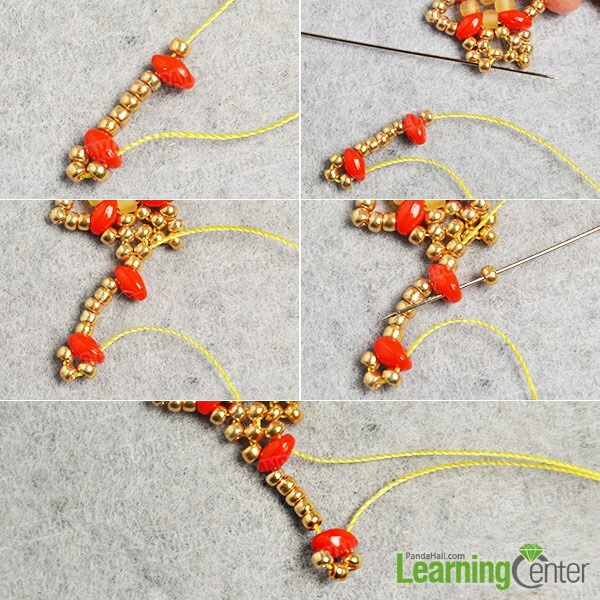 This beading bracelet pattern may be a little difficult for you to try, but it really deserve your time to make, right? 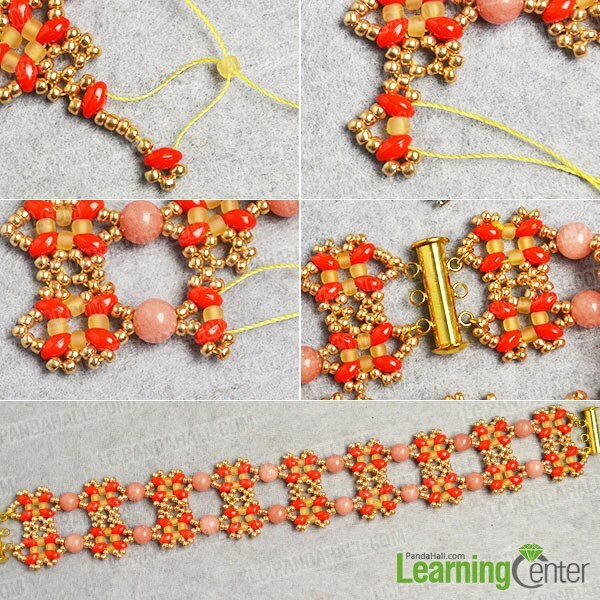 And I show the details in making this wide beaded bracelet, so you can follow this instruction to make one later. Have fun!